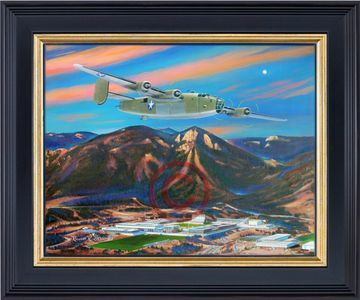 Home | Air Force Academy Artwork By Richard Broome | Available USAFA Class Prints & Commemorative works of Art By Rick Broome | USAFA Reunion Specials! Welcome to our Reunion Specials page. Here you will find current specials on your Class Paintings during your reunions. All specials are only offered during reunions and we are working with a number of classes to make sure the information is out there. The Class Painting is one of the longest held traditions at the Academy. Each painting is done specifically for each class that commissions us to do them. The tradition started in 1974 and is still going strong today. One thing about the class painting that has occurred over the years is that it has become an iconic piece that is instantly recognizable. Whether hanging in your home or office, once people see it, they identify you as an Academy Graduate. By owning a canvas or lithograph of your class painting, you join the thousands of graduates who have made this project possible throughout the years. This has been a stewardship that has given back so much. We are honored to still be able of offer the prints to all USAFA grads and cadets and will continue this tradition well into the future.